Aruba is providing the leading multi-vendor Network Access Control Solution for wired and wireless networks – ClearPass Secure NAC. It can help your business and it can help you! In today’s enterprise workplace we collaborate, work together and share ideas and information using our mobile and BYOD devices. This change in workplace behavior has changed the security threat landscape. Company data and assets are stored and accessed in the cloud and this increases the unknown vulnerabilities your business faces. Then, there is the exponential rise in IoT devices. Gartner informs us that we are on track for 70 billion connected IoT devices by 2020. While IoT may provide benefits for workplace optimization, it also introduces more vulnerabilities and risks to corporate assets such as business data, source code, and even user identities. Many businesses have a multi-vendor environment through organic growth or acquisitions which introduces additional vulnerabilities. That means enforcing consistent access controls is vital since hackers love to exploit security gaps. These multi-vendor environments and the explosion of devices means visibility becomes the first word in security awareness. Are you really aware of what’s connected wired and wireless to your network? If not, you probably can’t quantify the internal security risks. Visibility & awareness can start with ClearPass Secure NAC. IoT connected devices create new types of vulnerability. Conventional IT users can fall prey to all kinds of attacks from phishing, malware and other unknown threats. Most businesses already have an arsenal of security solutions – SIM, anti-virus, firewalls, etc. These tools become your source of security intelligence and work with ClearPass to automatically quarantine, boot, or restrict network access. It’s called “adaptive response” and can significantly reduce your risk factor. HPE can complement ClearPass with Introspect UBEA – which analyses traffic with user behaviour entity analytics. These two software security solutions provide an early warning and response system which can keep your company out of the headlines. 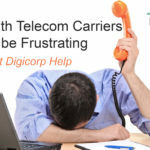 For more information and to Discuss Opportunities, Contact Digicorp, Inc.